The printing industry has undergone a tremendous technological change over the last few years. Although all departments have seen technology change the way they do business, no department has seen quite the change that the prepress department has. Once a pure manual operation the focus of prepress is now electronics, and picking the right technology and staying ahead of the curve is a constant challenge for some companies. At King Printing, we have consistently shown we understand new technologies and are on the cutting edge when implementing them. 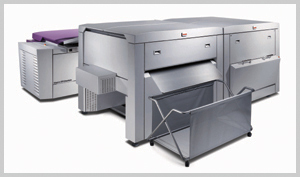 Our CREO Platesetter was a perfect example: while other companies were beginning to see the benefits of Computer-To-Plate systems, we installed our CREO in 1995, because we realized the advantages to our workflow and to the customers final product deadlines. 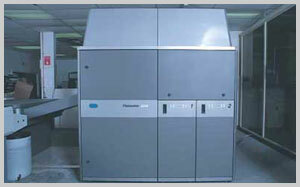 In 2007, we installed a Kodak Magnus Platesetter as a part of continual process improvement. The industry leader in platesetters, Kodak offers improved quality, faster turnaround times, with the elimination of film and many time consuming manual steps. Its front-end is Adobe PDF Print Engine running on a powerful server, giving us the power and flexibility to run any type of job, from 1/c to 6/c. As a book printer King Printing offers its customers real solutions to their production issues with the Kodak Platesetter.